Sunbury high tech dental practice offers efficient orthodontic solutions. One of the most important reasons for early dental care is monitoring a child’s growth and development. This is especially true of orthodontics, because the right treatment at the right time can have lifelong benefits. Our practice locations in Sunbury and Moonee Ponds use advanced growth prediction technology, enabling precision treatment timing for children. Orthodontics is not just about straightening crooked teeth. In many cases, the jaws are misaligned, which can affect chewing, speech and appearance. It can also lead to painful problems such as temporomandibular joint (TMJ) disorders, which have symptoms including headaches, facial pain, ringing of the ears, and dizziness. Most current orthodontic thinking recognises the importance of tongue position in swallowing, speech and feeding, along with adequate airways being important for a child’s normal development. Indeed the correct functioning of the muscles and soft tissues around the teeth play a big part in whether a malocclusion develops or not. There is an opportunity to modify this growth in earlier stages of development. Something as simple as using a laser to free a tongue tie along with myofunctional therapy, can have life changing effects. The reduction of a malocclusion can assist in providing a more stable orthodontic result (after braces), better breathing (less likely issues with snoring and sleep apnoea, which can be life threatening) and improved posture/ brain function. So as you can see the stakes are high and there are not only aesthetic benefits to orthodontic assessment and treatment. We use special software that accurately predicts the growth pattern and growth rate of the jaw. It provides detailed data with a high degree of precision, allowing us to customise each child’s treatment for the best possible outcome. Using this software, we can better answer your questions about various options, such as timelines and results. Helping you to make informed decisions about your child’s treatment. The first step is a clinical evaluation. If potential problems are detected, we will work with you to develop an appropriate treatment plan. 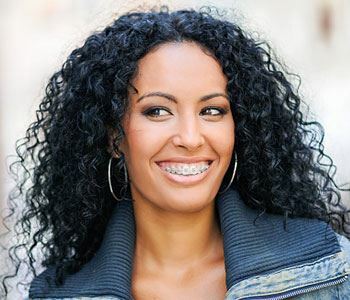 If there are no apparent problems, you can enjoy the peace of mind of knowing that braces won’t be needed.